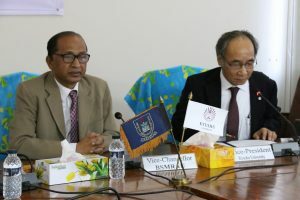 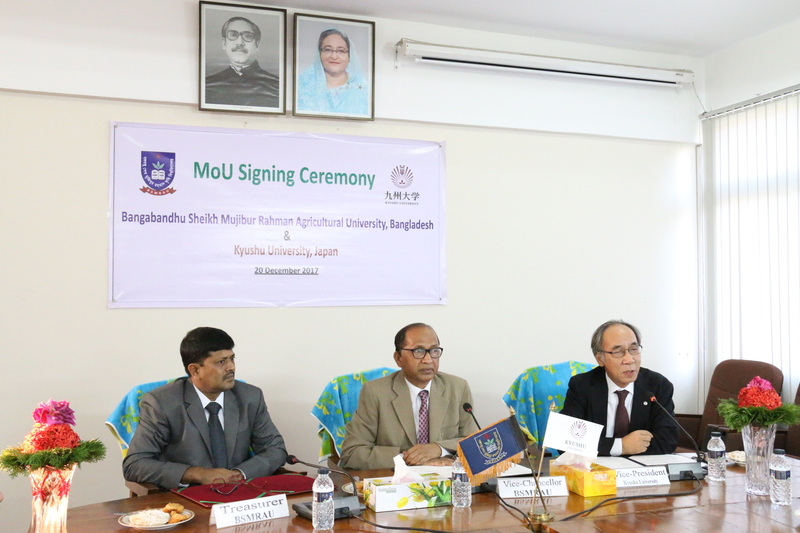 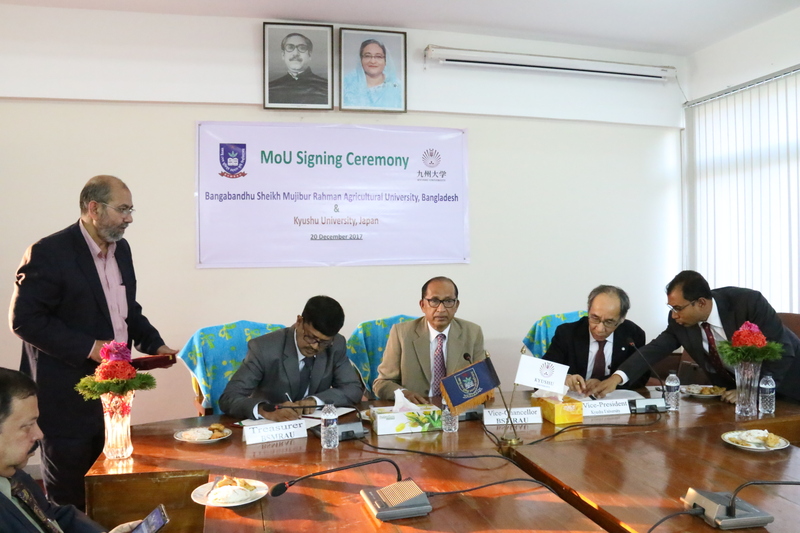 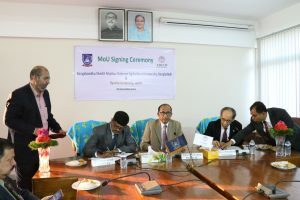 Bangabandhu Sheikh Mujibur Rahman Agricultural University (BSMRAU) and Kyushu University Japan have signed a Memorandum of Understanding (MoU) at a ceremony held on 20 December 2017 at the Conference Room of the University. On behalf of BSMRAU Professor Tofayel Ahmed, Treasurer, and Prof. Dr. Kazuo Ogata, Vice-President Kyushu University Japan signed the MoU in presence of Vice-Chancellor Prof. Dr. Md. Giashuddin Miah, Deans, Directors, Provosts, Registrar and other relevant teachers of the university. 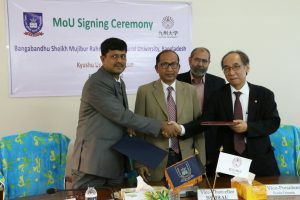 The MoU was signed on exchange of cooperation, technical assistance and student-teacher/expert exchange in the field of education and research.